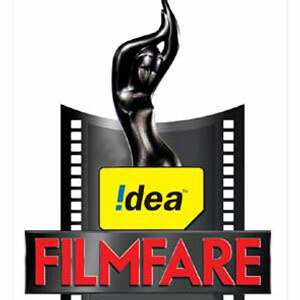 South Indian Cinema, is the 58th Idea Filmfare Awards, all set to begin in just a few hours on the International Convention Centre in Madhapur, Hyderabad. The much awaited day has finally arrived and the stars, celebrities and the best talents of Kollywood will walk the red carpet at one of India's most honored film awards. The prestigious awards, it is a recognition of talent in Tamil to Telugu, Malayalam and Kannada films will be given away at the ceremony. 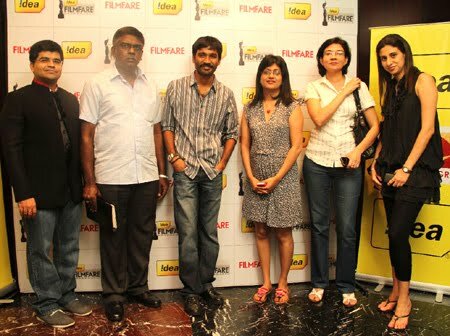 All the stars from Kollywood, Tollywood, Molly Wood and sandalwood have reached the Hyderabad one day before. The actors who perform at the event practicing for their performances from last week despite their busy schedules. 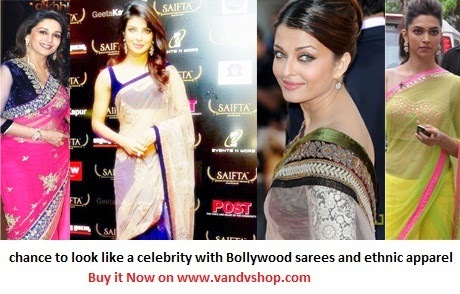 In what seemed like a Tarun Tahiliani sari, participated Anushka 58 Idea Filmfare Awards. I liked that she did not have accessory for the busy saris and stuck to just jhumkas.